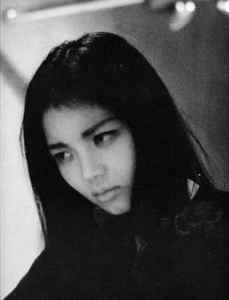 Yamasaki's first two albums, 飛びます and 綱渡り, are generally regarded as her masterpieces. These came out on the ELEC label, before it went bankrupt in 1976, at which time the rights were picked up by Aard-Vark (now part of Pony Canyon). The ELEC and Aard-Vark pressings of these first two records are for all intents and purposes identical. As such, the ELEC versions shouldn't really command a premium (but they usually do anyway). Yamasaki's most well-known song was probably 呪い, from her fifth studio album 人間まがい (1979).